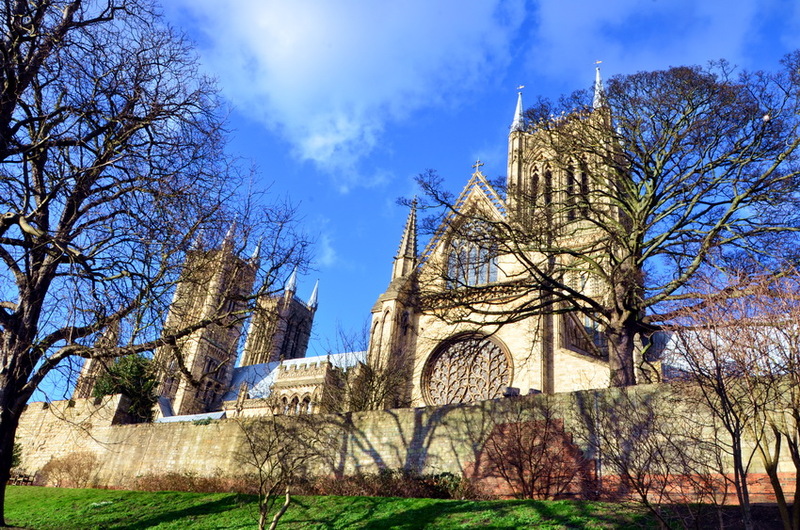 The Cathedral Church of the Blessed Virgin Mary of Lincoln was the tallest building on earth for 238 years. 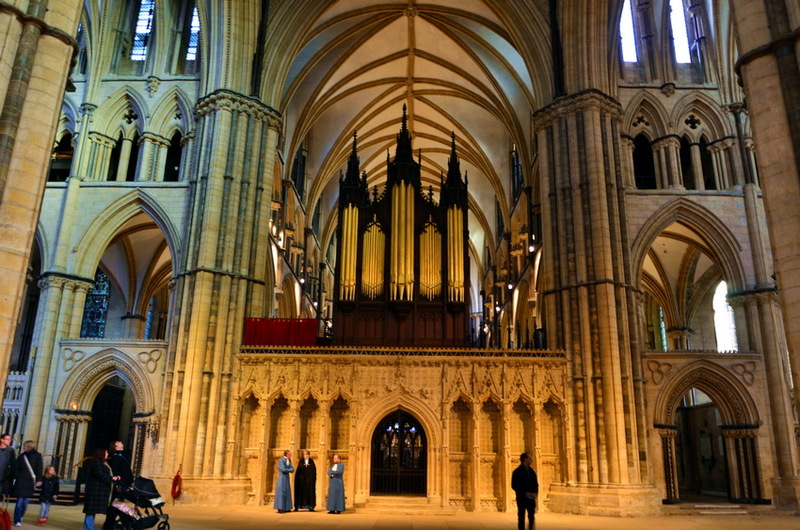 This magnificent cathedral built in a Gothic style 72 meters above sea level, can be seen far outside the city limits. The cathedral was built in the 14th century on the site of another one which was destroyed after an earthquake; its spire height of 160 meters exceeded that of the Great Pyramid of Egypt which was top of the list of skyscrapers for almost 4000 years but in 1549, this high tower and spire of the cathedral collapsed never to be rebuilt in the same way again. 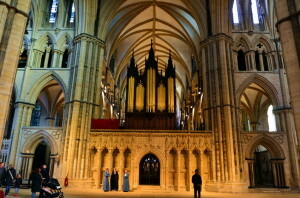 Nevertheless, the cathedral standing on this site today is one of the three largest cathedrals in England which includes Westminster and York. 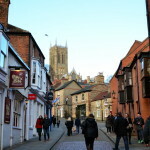 The Cathedral is the most beautiful building in the city of Lincoln and despite the similarity of Gothic elements to other cathedrals in its architecture, there are two very unusual masterpieces which are not usually found in other English Cathedrals except in France such as Notre Dame in Paris. 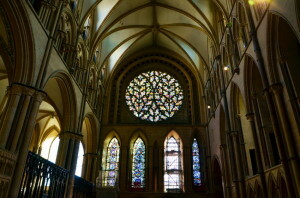 These are two round rose windows designed in a typical Gothic style with curvilinear openwork patterns. 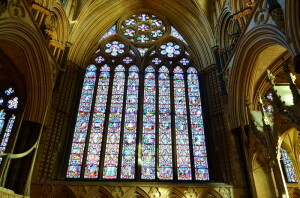 One round window looking to the north called “Dean’s Eye” symbolizing darkness or the devil and another looking south “Bishop’s Eye” symbolizes light or the Holy Spirit. 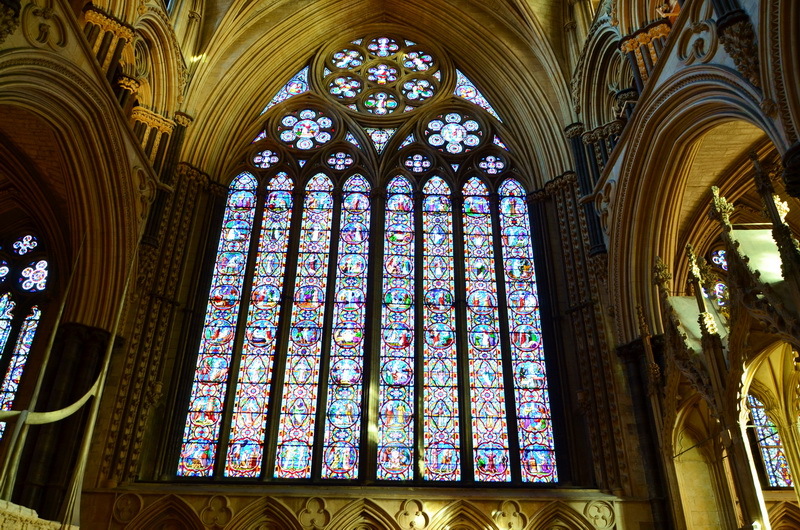 I photographed these windows not realizing their philosophical meanings until I read the history of the cathedral. After reviewing the photos, I was surprised how I was able to aim my camera at such an interesting subject. 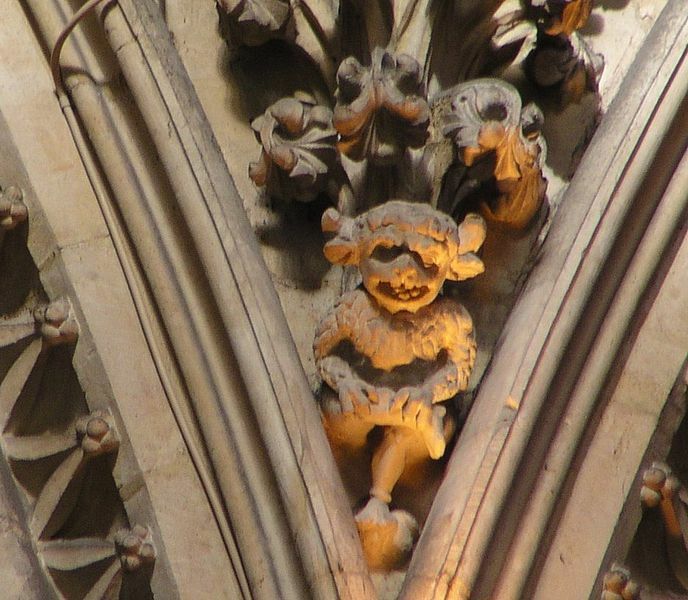 There is also an interesting legend about two imps which Satan sent to earth to commit evil deeds. One imp managed to escape but second one was turned to stone by an angel. Today the now petrified imp adorns the wall of the cathedral and has been adopted as the symbol of Lincoln. 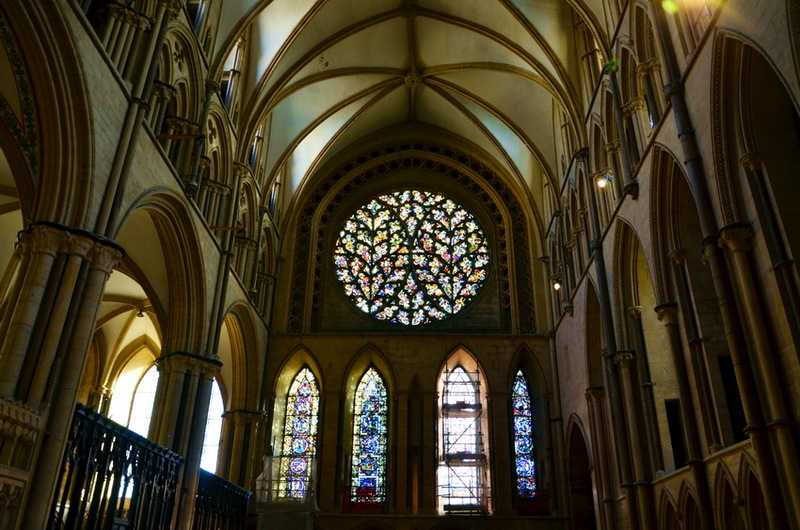 All around this magnificent Cathedral one can feel a mystical atmosphere, little wonder why it was used to film “The Da Vinci Code” movie. 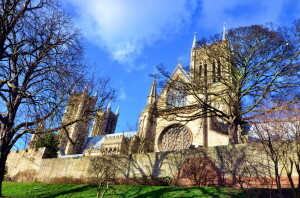 Another interesting fact about this cathedral is that it is the home of one of four copies of the Magna Carta, signed in 1215 by King John solely because the bishop of Lincoln, Hugh of Wells, was one of the signatories. This copy has been temporarily lent to the Ronald Reagan Presidential Library in California. Two other copies are in the British Museum and one is in Salisbury Cathedral. Thomas Woolsey was one of the most famous bishops of the cathedral, after King Henry VIII he was the most influential Cardinals in England until 1529. The cardinal made his fortune with the introduction of taxes and the closing of 29 monasteries, part of his funds were invested in the construction of the Palace at Hampton Court, which subsequently came into the possession of Henry VIII. 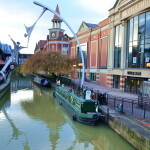 The history Lincoln dates back to the Iron Age. 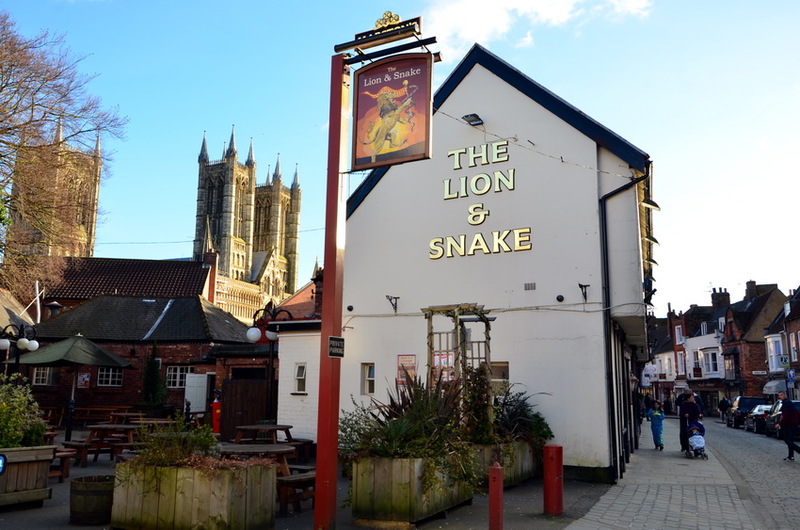 Celtic settlements from the 1st century BC have been found at the foot of the hill and in 48 AD the area was conquered by the Romans who built a fortress on the river bank, hence the name of Lincoln, which a combination of the word Lindon (the Pool) and Colonia. 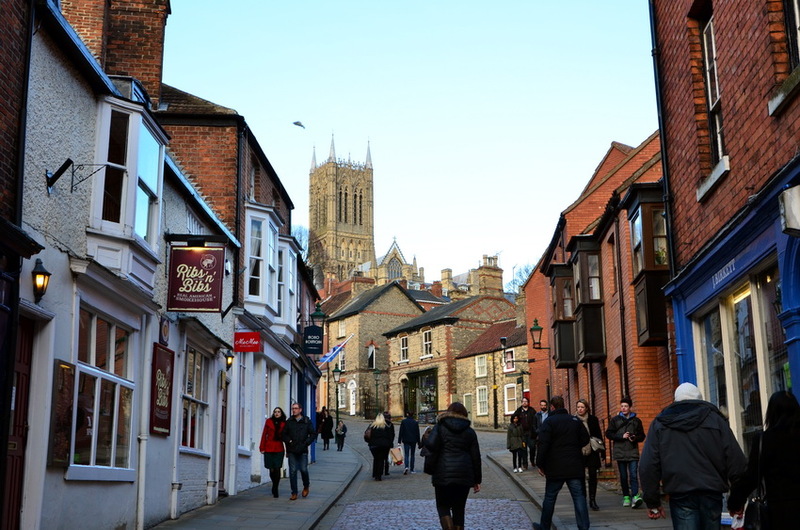 It is known that a Roman legion was located here, which later moved to York but Lincoln remained a place for the veterans of the legions. After the Norman invasion in the 11th century a castle was built on the orders of William I on the site of the Roman settlement. 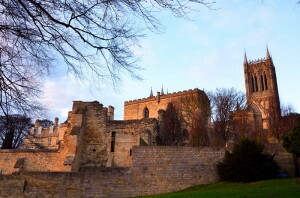 Now it is a prison museum which houses evidence of severe medieval laws and conditions under which the prisoners lived. In the 12th century the Bishop’s Palace was the administrative center of the city and one of the most important buildings in England. 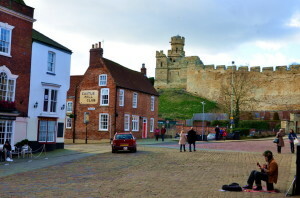 The Cathedral the Bishop’s Palace and the Castle are the historic center of Lincoln. 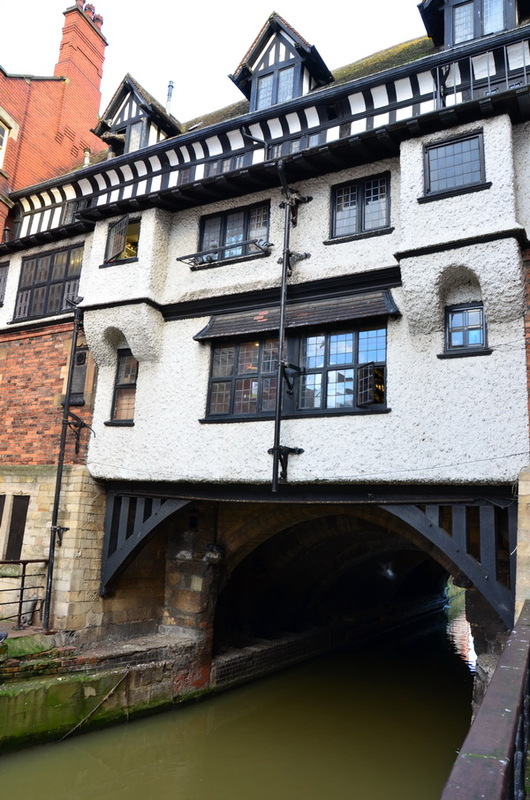 These historic buildings are separated from the main part of city, unlike cities in England and Europe. 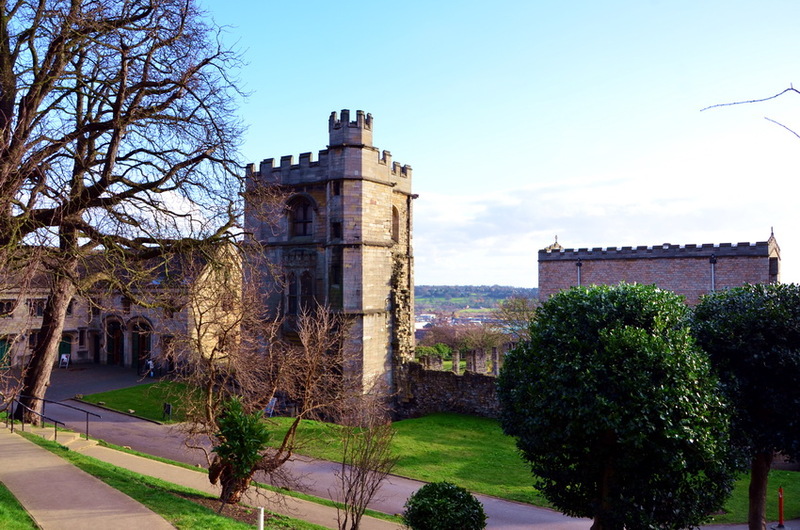 During Norman times the military and religious elite lived around the cathedral on the hill, while the poor people settled down the hill. 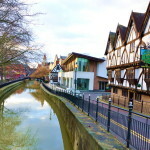 Therefore, the main tourist attractions of the city are easy to find. 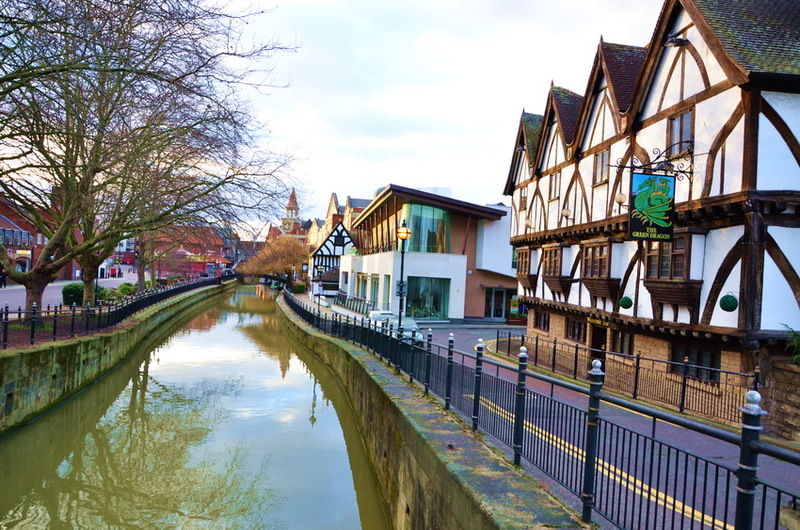 In the 12th century AD, this was one of the wealthiest cities in England; they produced woolen cloth in red and green as symbolically worn by Robin Hood. 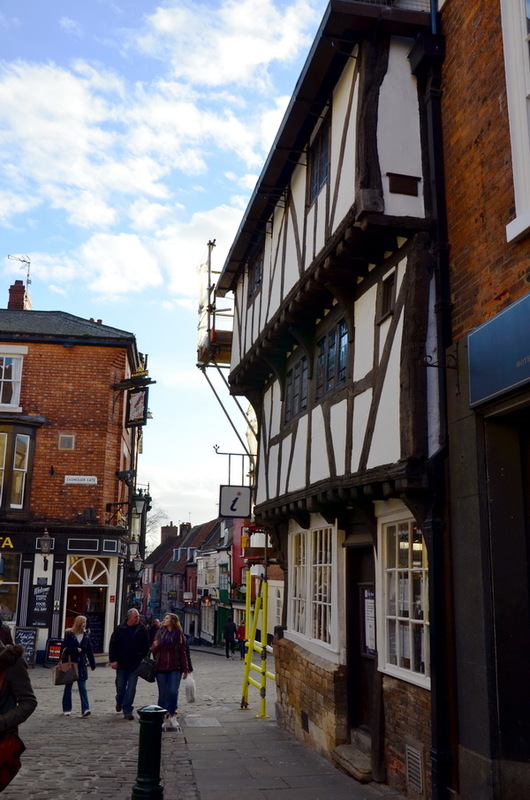 After the reforms of Henry VIII and the dissolution of the monasteries in the 15th century many religious institutions were closed down in the town, which brought considerable revenue to the city treasury. 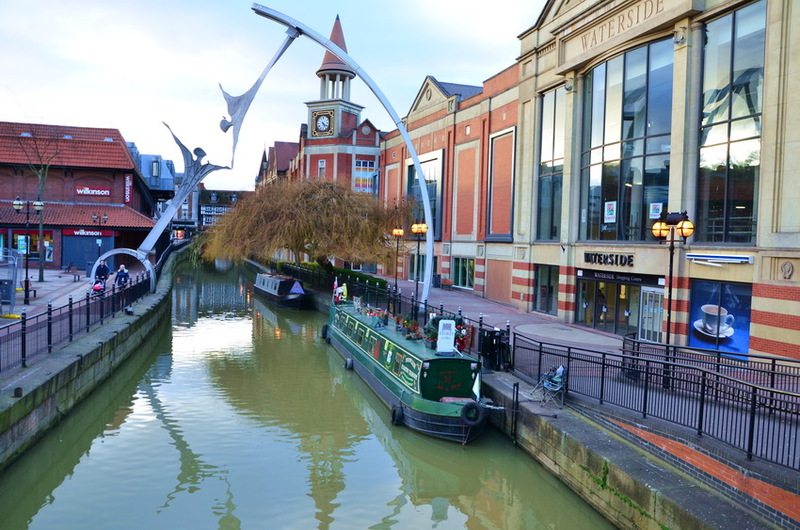 But, ever since the Cathedral spire had collapsed it was also the beginning of an economic decline for the city. 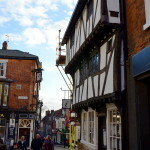 However, many medieval buildings have been preserved in their original form. We walked around the city from the historic Castle square, down Steep Hill, whose title speaks for it self, to the city centre. 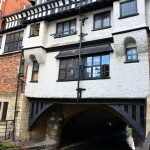 I included some photos taken during our visit. 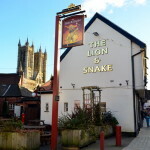 This entry was posted in History&Towns&Castles&Palaces&Museums, Photo gallery and tagged Lincoln. Bookmark the permalink.